Looking north on Seacoast Drive near Evergreen Avenue at the 2011 U.S. Open Sandcastle Competition. Credit: Khari Johnson. Published Dec. 14, 2011 by Imperial Beach Patch. On Nov. 9, the U.S. Open Sandcastle Committee announced the organization will move to dissolve itself and end the U.S. Open Sandcastle Competition. A lack of financing and support from sponsors and volunteers ended the competition after 31 years. From the start, the sandcastle competition was the single-largest event that brought people to Imperial Beach every summer. It would grow to become the largest event of its kind in the United States. The true impact of this sort of loss of for a city of 26,000 is hard to measure. No analysis was ever conducted by government or business organizations to find out the competition’s economic impact on Imperial Beach or San Diego County. No studies or surveys were ever carried out to gauge the competition’s ability to attract return visitors to IB. HdL Companies, a company that analyzes sales tax data for municipalities across California including Imperial Beach, said it is “near impossible” to measure the competition’s impact on local sales tax. What can be measured is the event attracted hundreds of thousands of people. According to Imperial Beach lifeguard statistics, sandcastle competition crowds of 385,000 people made up almost 40 percent of summer beach attendance in 2011. Among other regularly held events that draw crowds to IB was the Fourth of July. Good weather and fireworks from the pier attracted 28,000 people to the beach, lifeguards said, or less than 10 percent the size of sandcastle crowds. Employees on Seacoast Drive said their sales typically doubled during competition weekends. The same cannot be said for other businesses. Jesse Ramirez has been the manager at Surf Hut on Seacoast Drive for 25 years. He said the store gets a lot of foot traffic during the sandcastle competition but fewer overall sales compared to an average day because regular customers stay away. In the long term, though, he said the competition was good for business, and customers who got to know the store during the competition have returned to purchase goods. Ramirez said the impact of losing the sandcastle competition comes down to the numbers. Away from the beach at the corner of Palm Avenue and Florida Street, FSG Tattoo and Body Piercing owner Mike Martin said his business never got positive impact from the competition. Like Ramirez, he said his sales declined during the sandcastle competition. Back when a beer garden was part of competition festivities, a higher-than-average amount of drunk people would show up looking for tattoos. Still, he said the sandcastle competition should continue. “I hate to see it go away. It was such a landmark event,” he said. Chris Justin owns SubSmart Deli Fresh near 12th Street. At one time he considered becoming a vendor on Seacoast Drive during the competition, but he never got a chance. Overall he said the sandcastle competition had a negative affect on his shop. “There was less business on those days because everybody wants to be on the beach, so unless you’re in that golden circle down there, you don’t really benefit from it,” he said. Despite large crowds, President Olivia Pickerling said the competition’s overall impact to the local economy was not substantial, except maybe for local bars. “Most of the people who attended drove in for the day, marveled at the sandcastle creations, ate and made souvenir purchases from vendors, but even those had greatly declined in the past few years,” she said. The event was a part of the city for decades. A sandcastle is a large part of the Chamber of Commerce logo. It can’t be easy, Pickerling said, but she understands why the committee’s board decided to end it. “It is hard to give up this thing that has been a part of everyone’s life for so long. However, it is very understandable in today’s economic climate. The costs related to the event were increasing every year and the sponsors were not there to support it,” she said. Nonprofit organizations for children who benefited from fundraising during the event will feel the impact of no sandcastle competition. The received around $15,000 a year from the U.S. Open Sandcastle Committee over the past five years, said director Aaron Ruiz. It’s hard to say what the impact will be today, he said, but in the future the center may face cuts as a result. Boy Scouts Troop #866 used to hold their pancake breakfast for volunteers and vendors Saturday and Sunday morning. During the day they sold hot dogs, sodas and other snacks. Losing the sandcastle as a fundraiser means losing more than 80 percent of the troops’ fundraising, said Scoutmaster Martin Brandt. The money raised at the competition went toward camping trips and scout award ceremonies, he said. Like several local residents who turned their lawns into parking lots and profit, the South Bay Union School District Education Foundation raised money by providing parking during the competition. Of more than $40,000 raised from August 2010 to August 2011, more than $14,000 came from providing parking during the sandcastle competition. Education Foundation funded endeavors include school libraries and a teacher mini-grant program to fund individual classroom needs. Optimist Club Imperial Beach for children 12 and under, which was typically held on Saturday before adults competed Sunday. Their sandcastle competition also serves as a fundraiser for youth activities, scholarships and other charitable endeavors the group supports. Rico Toscano organizes the children’s competition and believes losing the adult competition hurts IB, but the full effect won’t be known for years. Like Tomlinson, Toscano hopes the event will continue in the future under a different organizing body. “When you bring hundreds of thousands of people to the community, you know someone is going to benefit from it. It brought IB international publicity,” he said. A $29 million, four-story hotel to replace the Seacoast Inn is scheduled to open in September 2012. The Imperial Beach Redevelopment Agency invested $7 million in the project. In October, the Imperial Beach City Council and staff held a community workshop to discuss matters important to the city’s future. Economic stimulation of Seacoast Drive was discussed for more than two hours, more than any other item on the agenda. were first presented to council in November, and after more analysis, may be presented to council again Jan. 16. A month after the workshop meeting was held, the sandcastle committee notified the city that the competition would come to an end. The original U.S. Open Sandcastle Committee was founded together with members of the City Council in 1980, said founder Bud Harbin. In 2011, no councilmembers or members of city government were regularly involved in the all-volunteer sandcastle committee. City Manager Gary Brown said the loss of the sandcastle competition is a definite loss for Imperial Beach, but no solutions have been offered by the community to continue the event. “No one from the committee suggested that we pay for public safety,” Brown said. “I got a sense that yes, costs were a factor, but the committee also didn’t want to run this thing anymore. The city offered the services of its public relations firm to help the committee find sponsors within the past two years but the offer was declined, Brown said. Councilman Ed Spriggs said he didn’t understand why there wasn’t more concern about the competition ending. He feels that it plays a role in the city’s overall economy and marketing and must continue. 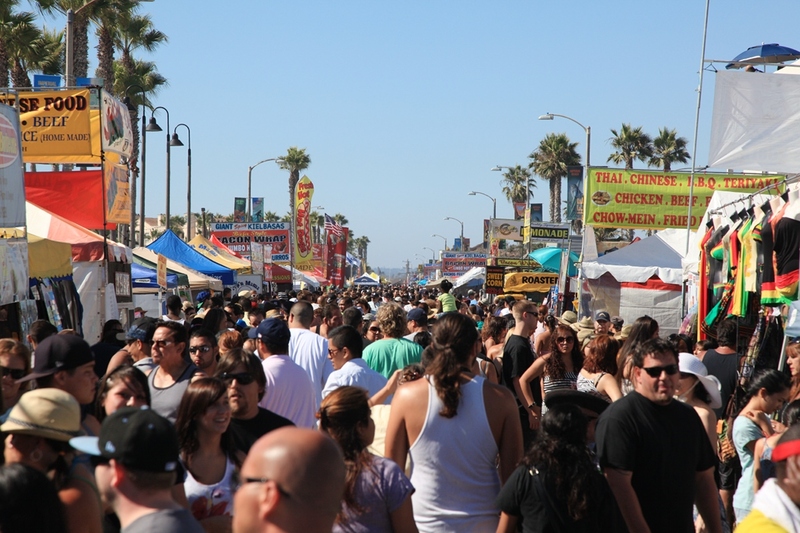 “The city needs to play enough of a role to make sure this kind of thing doesn’t happen again and that the event takes place in a way that maximizes the goods and benefits to Imperial Beach,” he said. With the right planning, he thinks sandcastles may be able to do more to promote IB in the future and encourage return visitors. Spriggs said he also didn’t understand why the event ending has not yet appeared on the City Council agenda, at least to get the competition committee on record to explain what went wrong and possible directions forward in the future. Kitt Williams campaigned for Spriggs in 2010 and lives two blocks from the beach. She and her husband Richard were two of three members of the community who attended the October community workshop that focused on growth on the beach. She said she fully supports efforts to improve Seacoast Drive’s economy and thinks losing the sandcastle competition should be used as an opportunity to think about the other kinds of events that can be held to champion the city’s resources. “The Kids ’N Kastles event, if properly promoted, will bring many people to the city who might have been a bit intimidated by the large crowds in the past,” she said. This entry was posted on Sunday, June 22nd, 2014 at 9:31 pm. It is filed under Front Page, Story Archive and tagged with Imperial Beach Patch, sandcastle competition, U.S. Open Sandcastle Competition. You can follow any responses to this entry through the RSS 2.0 feed.